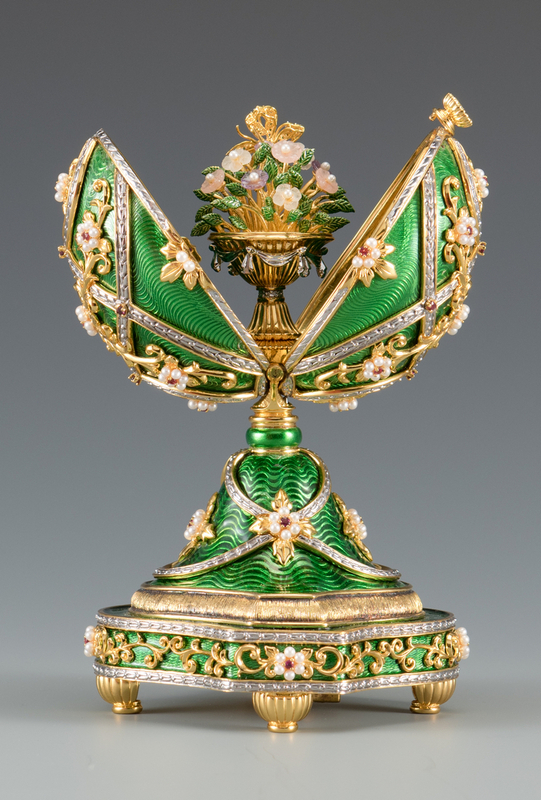 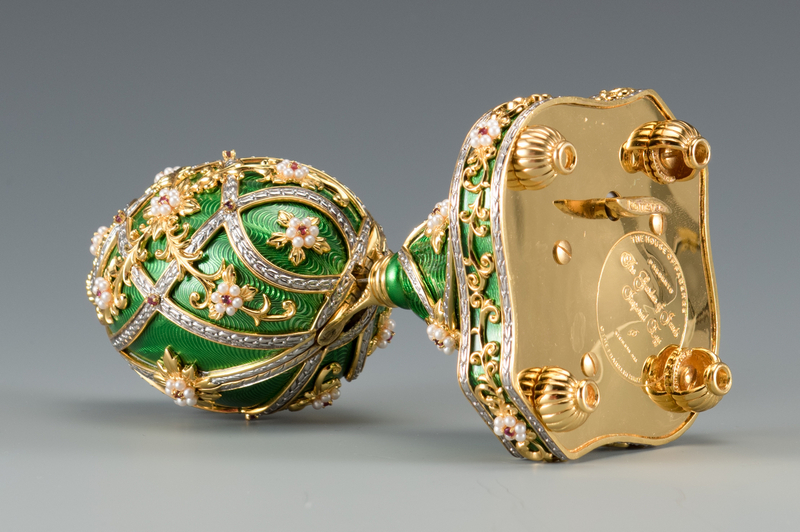 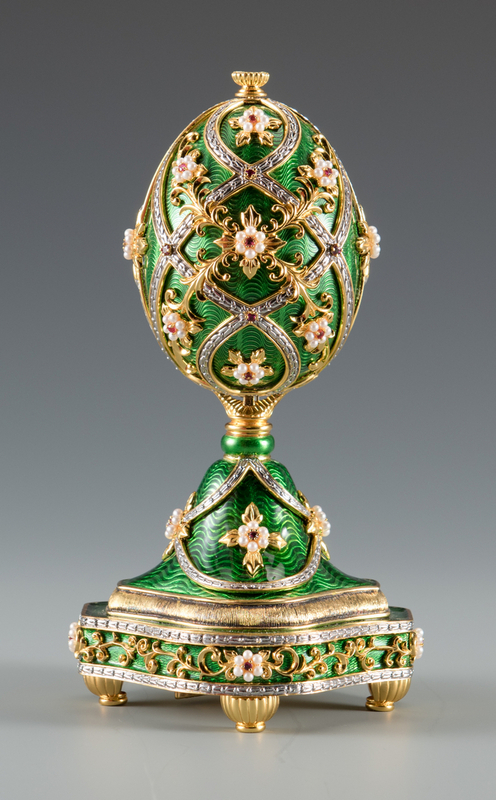 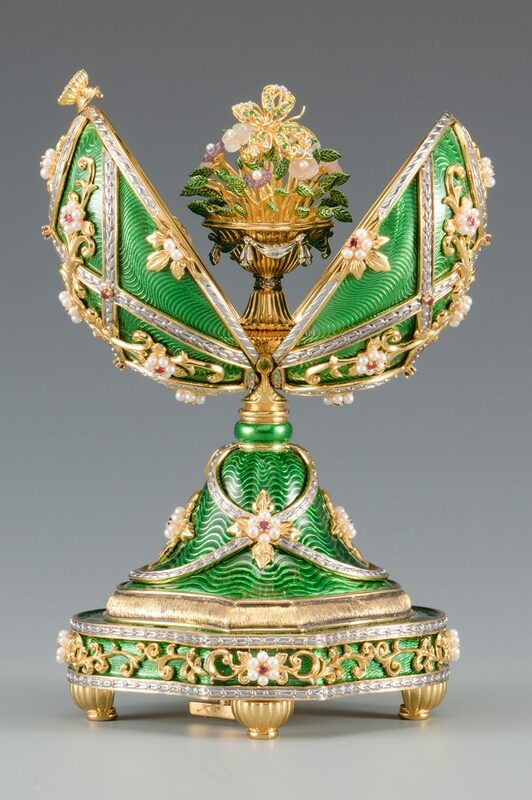 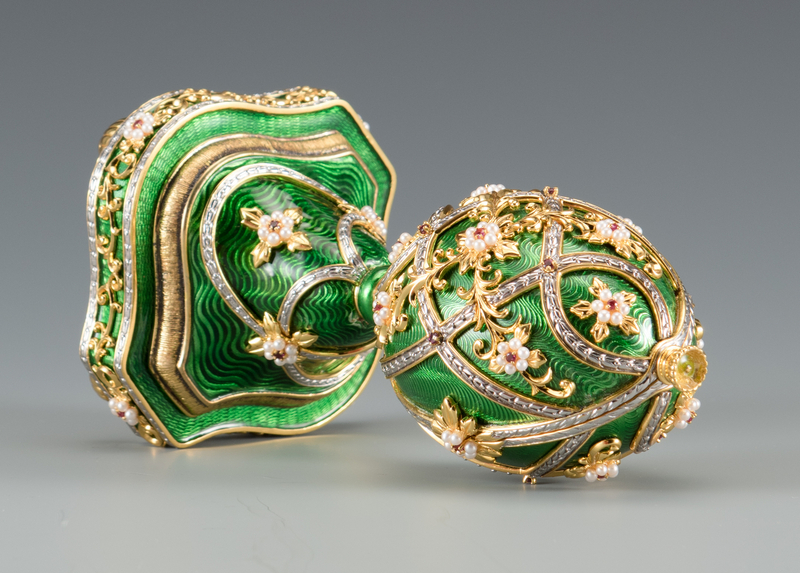 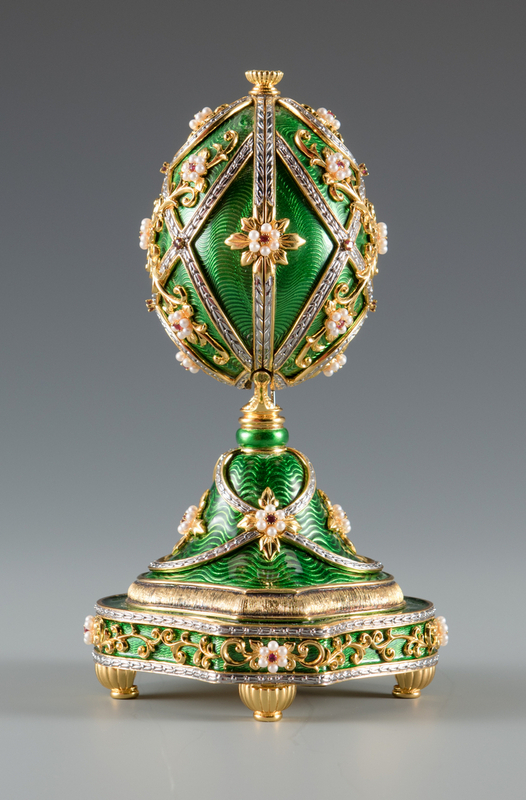 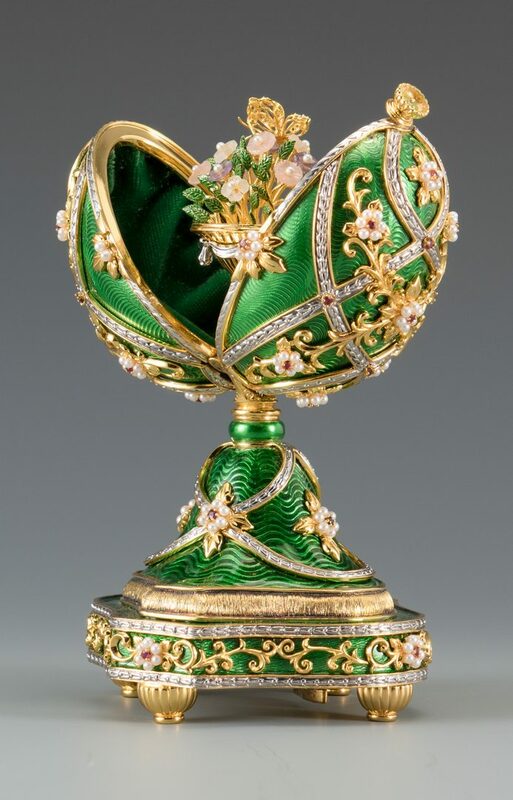 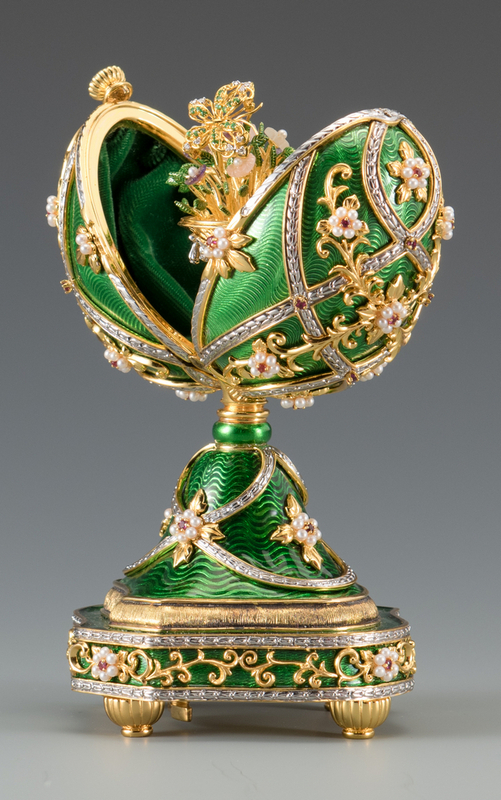 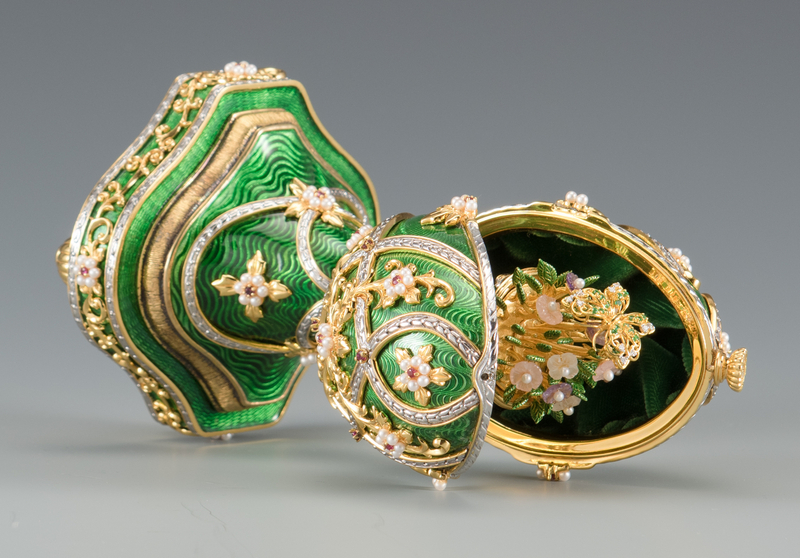 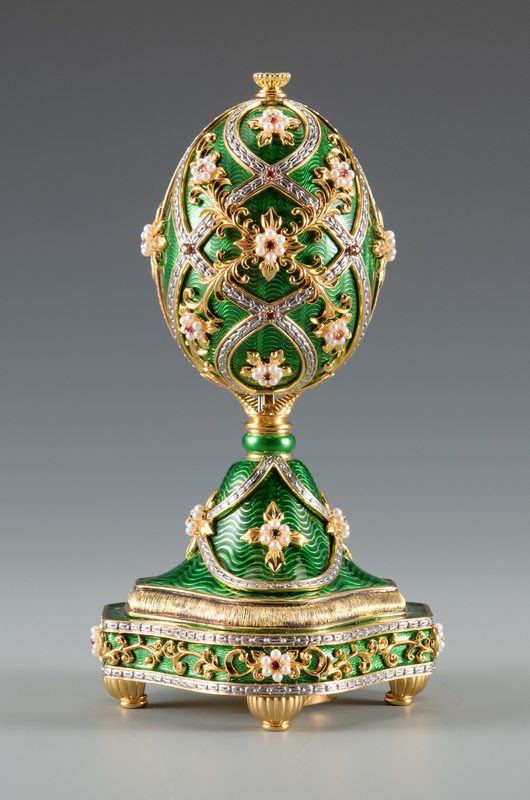 Franklin Mint House of Faberge egg music box, 24 K gold on sterling silver with green guilloche enamel decoration, accented by seed pearl and ruby "flowers", marked on underside "The Garden of Jewels Imperial Egg". 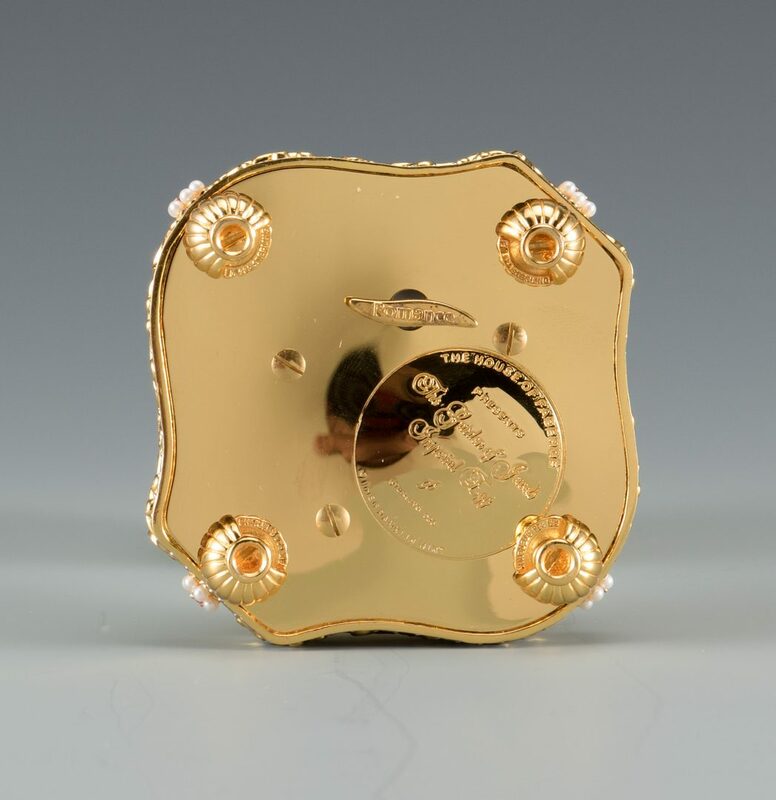 7 1/2" H. Mid to late 20th century. 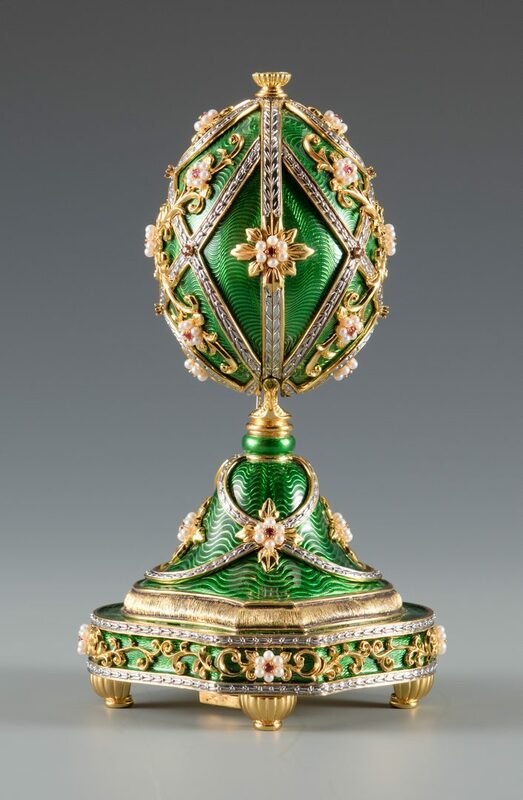 CONDITION: Missing finial.